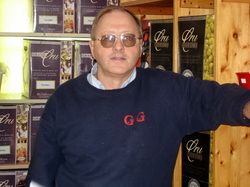 Richard has been in the home wine and beer business since 1994. He opened his own store in 1995. Then had the first on premise wine making operation in the greater Moncton area in 2002. He has been making wine since 1976 when he started making wine from local fruits and vegetables. He'll say that he got married and started drinking, only when The Boss in Chief isn't close enough to hit him. Lynn came from being an executive assistant in the automotive industry to work here, part time 2000. She became the full time "Boss in Chief" in 2002. She and Richard have been making wine, and kids, together since 1976. Liam worked in the store all through high school, and summers up until moving west to Vancouver in 2001. He rejoined us in 2006 full time. Liam is very knowledgeable and is more than happy to help you find the right wine for any occasion, or any day that ends in Y. He will even offer to help you drink it. Joe came to us in 2012 and is a valued member of our team. When he's not on the golf course or playing Country music, he is in charge of filtering, So you better be nice to him. Glen joined us in June 2011 and is Mr. Utility man, wherever he is needed that is where you'll find him. He has his own business doing custom engraving, and lettering for years, but needs to get out of his wife's hair so he comes here to wine with us. ​Barb joined us in 2015. 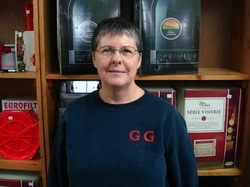 She is new to the industry but is quickly learning every aspect of the business from production to bottling and sales. Very sharp and quick on her feet, she has a sunny disposition and we're happy to have her on the team. ​Joanne joined us in January 2012. MoJo has become skilled in all aspects of production, filtering and bottling. She's a straight shooter and runs a tight ship. Liam knows better than to give her any lip.